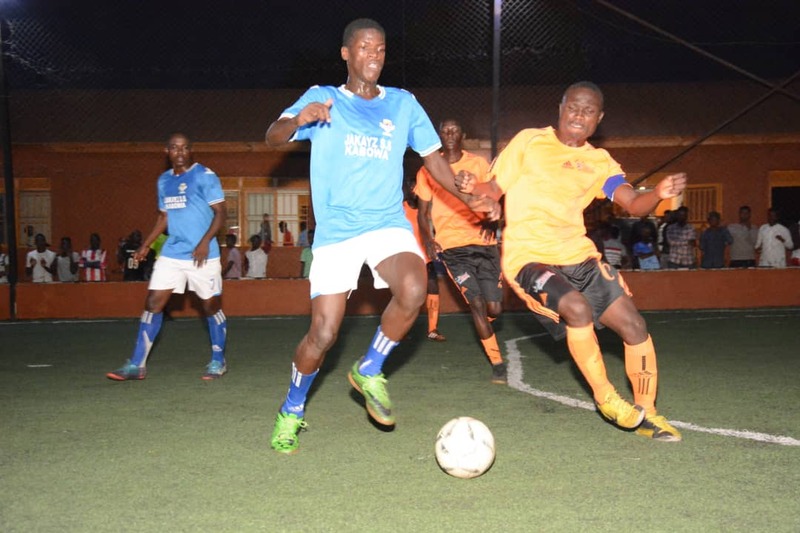 MENGO – The Futsal Super League will return this Thursday with 7 match ups at the International Futsal Courts in Mengo. All eyes will be on leaders Yeak Kabowa who have been on some sort of stroll lately, winning all of their last four games and in the process move four points clear at the top of the standings. On Thursday, they come up against Mengo City who are off a 3-1 victory over Equator last week. Mengo are currently 8th on the standings despite having an average seen so far. Much of their play has been down to the fact that they are solid at the back. Mengo has let in a league 5th lowest of 32 goals and they will be hoping they can continue that good defensive record against arguably the best side in the League currently. Yeak will be expected to win this one, and if they do, winning a first League title will move high on their agenda for the season. The day’s action will however kick off with Equator taking on Aidenal. Both sides are struggling at the wrong end of the table and head into the fixture separated by only a single spot and point. Aidenal who are off a humiliating 8-0 loss against Yeak, currently sit 10th on the standings having gathered 12 points from as many games. For Equator who are in 11th, they also lost their last fixture 3-1 against Mengo City but if they can replicate the sort of showing they put out last week, three points may be theirs this time round. Another interesting affair will see defending champions Dream take on Nomad at 9pm. Dream have been climbing up the table lately after a slow start that saw them sit as low as 9th at some stage. The 9-1 win over Yap Stars was their 4th in 5 competitive games (including one in the cup) and that form has seen them climb into 5th, 7 points off the pace. The only game they failed to win in that period was the 2-2 draw with Park, a tie that saw them (Dream) concede with only a minute on the clock. Going into the game, Dream vice Captain Kitanda ‘Obed’ John is confident they will win it. “We started slow but have started picking up, said Kitanda. “We are the defending champions and have to justify that tag at all costs. “Our job is to win as many games as possible so that we can finish as high as we can. “This game will not be easy like all the games are but we have prepared well and i am confident we will win it. For Nomad, they are also performing well currently and head into the game 4th with 23 points. Last week, they scrapped to a 2-1 win over Kabowa United, requiring a late Ahmed Omar strike to win the contest. The other fixtures on the day will see second placed Parakeets take on Typhoon, Park play Elephants, Yap Stars entertain Kabowa United while Crown and Bajim lock horns. Yeak’s Shaffic Avemah still tops the scoring charts with 14 goals, 5 ahead of second placed Joseph Kizza of Park.